 1.1 Contractor, performing its activities as an independent private limited liability company acting under the (trade) name BASSMENT BV registered with the Trade Register of the Dutch Chamber of Commerce under number 301498994, provides its services in accordance with the present General Terms & Conditions of the Dutch Venue Association. The Dutch Venue Association is an industry association representing the Dutch event venue industry. The terms and conditions are applied by all members. 1.2 Contractor is entitled to unilaterally change or amend these General Terms & Conditions. 1.3 Contractor’s house rules also apply to the agreement, with the exclusion of all other regulations. In the event of any contradictions between these General Terms & Conditions and the house rules, the stipulations of the house rules shall prevail. 2.1 Before a client requests an official offer or before the offer process has been concluded, contractor can upon client’s request provide client with an option on a venue space. 2.2 Contractor shall only be legally bound to options provided in writing (including but not limited to email). Options are valid for fourteen days counted from the date of the option, unless contractor stipulates a different deadline. If an option term is longer than the term in which the offer is to be accepted, the option shall be valid for as long as the offer is/remains valid. If the option expires (i.e., if no agreement is concluded before the end of the option) but client requests a new option or the extension of the current expired option, contractor shall always be entitled to take the position that the option has expired and that there is no binding reason to provide a new option or extend the expired one. 2.3 In the event of an option, contractor shall be entitled to request that client provide a security deposit, which will amount to the space rental calculated for the rental period in which the client intends the use the space. Contractor is entitled to keep the security deposit in the event that (a) client does not inform contractor in writing (including email) of client’s decision to invoke or not invoke the option before the option expires; or (b) no agreement is concluded within four weeks after client has invoked a valid option. 2.4 Both contractor and client are entitled to inform the other party in writing (including email) that they wish to terminate the option before the end of the option period. 2.5 If contractor wishes to terminate the option, it will be held to provide a termination notice to client and to give client the opportunity to invoke the option within 24 business hours after serving the termination notice. If client decides to invoke the option, an agreement will have to be concluded within 24 business hours after client has invoked said option. 2.6 Parties are aware that the event that client wishes to hold in the venue must not be detrimental to the reputation, the appearance, or the other events of the venue and that the event may not cause any nuisance or disturbance to other lessees/users of the building or the building’s neighbours. 3.1 Unless otherwise agreed upon in writing (including but not limited to email), all offers made by or on behalf of contractor shall be valid for 14 days counted from the date of the offer. The validity of an offer will also expire if client rejects the offer within that period in writing (including but not limited to email). and the offer was confirmed by the signatures of both contractor and client or was confirmed by client by email, and was received by contractor in time. The risk of any ambiguities or inaccuracies caused by the assignment being granted and communication being held over telephone falls to the client. 4.1 Unless otherwise agreed upon in writing (including but not limited to email), client shall at its own expense and risk assure that there are sufficient security and safety measures in place to guarantee the safety of performers, guests, visitors, and third parties hired by client. If parties have already agreed upon such measures, contractor shall still at any time be entitled to demand that additional requirements be met, if such is required by changed circumstances. 4.2 Client is held to provide contractor in a timely fashion with any and all information that client knows, or could reasonably be expected to know, to be necessary for the execution of the assignment. Client guarantees the accuracy and completeness of all information it provides. 4.3 Client has no claim whatsoever on any kind or degree of compensation payment if client does not (sufficiently) meet its obligations pursuant to Article 4.1 and/or 4.2 of these General Terms & Conditions, causing contractor to (i) cancel (a part of) the assignment, which contractor shall be entitled to do, and/or (ii) contractor has pointed this out to client and client still wishes the assignment to go ahead. 4.4 Client shall be responsible for paying all applicable fees for the use of third-party (intellectual property) rights, including but not limited to rights managed and exercised by the Dutch Buma/Stemra music rights collecting organisation. 4.5 Unless otherwise agreed upon in writing (including but not limited to email), client shall be responsible for obtaining all necessary permissions, permits, licences, and the like. 4.6 Client shall be responsible for all actions (or failures to act) on part of visitors, guests, third parties in client’s employ, etc. during the assignment (which includes but shall not be limited to the actual event itself). 5.1 It falls to client to check whether the rented space(s) is/are suitable for the envisaged event prior to entering into the agreement. 5.2 The rented space(s) include only the space(s) described and the facilities listed in the agreement. Unless otherwise agreed upon in writing (including but not limited to email), the central entrance areas, stairwells, toilets, bars, restaurants, exterior premises, and parking facilities are not part of the rented space(s). materially change the name or purpose of the event during the term of the agreement, for which contractor shall not unreasonably withhold its permission. 5.4 Client shall not use the rented space(s) in a way that causes nuisance or disturbance to contractor or to third parties and will ensure that guests, visitors, staff, employees, etc. will also refrain from this. 5.5 Client is held to bring the venue’s house rules to the attention of guests, visitors, staff, employees, etc. and will be continuously and severally responsible for the (full) observance of the house rules by these parties. Client indemnifies contractor against all damage and third-party claims ensuing from any violation of the house rules or the General Terms & Conditions by guests, visitors, staff, employees, etc. 6.1.1 The budget estimate is based on the number of visitors that is included in the agreement. Any change to the number of visitors will affect the agreement’s price quote. 6.1.2 Client is held to inform contractor in writing (including but not limited to email) as soon as possible in case of any changes or additions that deviate from the agreement’s stipulations. 6.1.3 In the event of a change occurring during the offer stage, contractor shall make all reasonable efforts to find a fitting solution. Client shall sign for a minimum number of visitors in the final agreement. 6.2 Reducing the agreed-upon visitor count and a corresponding cost reduction shall only be possible once, until ten days before the event is to start. The reduction shall not exceed 5% of the total number of visitors recorded in the agreement. All possible cost reductions shall be made with full application of the terms and conditions parties have agreed upon. In the event of a visitor count reduction of more than 5%, contractor shall be entitled to adjust the other calculations to the new situation. This shall among others pertain to possibly assigning the event a different space. 6.3 If more visitors show up to the event than was agreed upon, the affiliated additional costs and expenses will be charged on basis of the calculations included in the agreement. The actual number of visitors shall be determined by the venue. 6.4 Assignments are accepted on basis of subsequent calculation, unless otherwise agreed upon in writing (including but not limited to email). 7.1 Decorating, using, and clearing the rented space(s) shall be discussed with the contractor beforehand. 7.2 Contractor shall at all times be entitled to stipulate binding conditions for decorating, using, and clearing the rented space(s), if the fire department, the police, the municipal authorities, or the contractor consider such advisable for ensuring safety and the (public) peace. 7.3 Subject to contractor’s express prior written permission, client shall not implement or order any changes to the rented space(s) or the other space(s) and (exterior) premises. 7.4 Client accepts the rented space(s) in the state this/these are in at the commencement of the lease period. At the end of that period, any and all defects shall be considered to have been caused during the lease period unless client can show that such defects (including damage) stem from before the lease period. 7.5 At the hours indicated in the order confirmation at the end of the lease period, client shall have cleared and completely cleaned the rented space(s) and will leave them in the condition in which the space(s) was/were provided to client. Client is held to reverse any and all changes that were made by or on behalf of client. If client does not clear and completely clean the rented space(s) (in time), contractor shall be entitled to charge client a fine equal to the assignment sum. Subject to contractor’s express prior written permission (including but not limited to email), all catering within the leased space(s) will be provided by contractor. 9.1 At all times prior to and during a lease, client is held to take any and all measures necessary for compliance with the stipulations and regulations of (a) the agreement, (b) the present General Terms & Conditions and (c) the house rules. 9.2 Client is held to actively inform contractor beforehand in writing (including but not limited to email) of any and all risks that the event may pose to the state of (the venue of) the rented space(s) and/or contractor’s reputation. This includes, but is not limited to, the visitor profile, the nature of the event, any threat or attraction of unwanted behaviour, political or social unrest, and possible revoking of the necessary permits and licences in a general sense (including pursuant to the Public Administration Probity Screening Act) or the venue’s own permits and licences. If client fails to observe its information and notification duties, contractor reserves the right to cancel the event without being held to any compensation payments. If any information provided turns out to be incorrect or incomplete, contractor shall be entitled to cease the performance of its obligations and/or cancel the agreement. In such a case, client shall not be entitled to any compensation payments. Cancellation on basis of a violation by client of its information duties shall not affect the client’s payment obligations, nor shall it affect contractor’s rights to recover any damage (including loss of profit) from client. 9.3 Client shall be liable for all damage incurred by third parties as a result of the use of the rented space(s) and/or the space(s) that client is allowed to use, and indemnifies contractor against any and all third-party compensation claims related to such. 9.4 Contractor shall be entitled to recover all the costs for repairing damage to the walls, floors, etc. of and any objects in the rented space(s) from the client, to the extent that such damage was caused during the client’s use of the space(s) in question or is directly related to that use. 9.5 Client shall compensate contractor in full for any and all damage and/or losses that client and/or client’s visitors/employees/third-party contractors, etc. may cause to objects that are the property of contractor or contractor’s suppliers. 9.6 Everything that is brought into the venue(s) and/or the rented space(s) by or on behalf of client shall be for client’s expense and risk. Contractor shall not provide insurance and/or security for such effects. Contractor shall not be liable for damage to or loss of goods, property, and monetary value of client or third parties (including visitors and performers), whatever the cause of that damage or loss, except in the case of wilful acts and/or gross negligence on part of contractor or its employees. Contractor shall furthermore not be liable for damage to or loss of goods checked into the cloakroom. Client indemnifies contractor against any third-party claims (in the aforementioned sense). Decorating, using, and clearing the rented space(s) shall be done in deliberation with contractor and with full observance of contractor’s safety regulations. 9.7 Contractor shall not be liable for any damage, of whatever nature, ensuing from contractor using inaccurate and/or incomplete information provided by and/or on behalf of client. 9.8 Contractor shall only be liable for damage if (i) this damage is covered by its liability insurance, and up to the amount that the insurance pays, to be increased with the deductible, or (ii) contractor or one of its managers can be blamed for wilful acts and/or gross negligence. 9.10 All claim rights and other powers, on whatever basis, that client may be able to exercise vis-à-vis contractor must be reported to contractor in writing within 12 months counted from the moment that client became aware of them or could reasonably be expected to have become aware of them. In lieu of such reporting, these rights and powers shall lapse. 9.11 Any advice and recommendations that contractor may provide are fully non-committal and all follow-up shall be for client’s expense and risk. 9.12 Contractor shall not be liable for audience attendance to the event in question. 10.1 Unless otherwise agreed upon in writing (including but not limited to email), all prices shall be exclusive of VAT. All other statutory taxes and levies shall also be paid by the client. Contractor will inform client of such taxes and levies beforehand as much as possible. Contractor is entitled to charge all statutory increases in taxes, excises, or social security contributions to client. 10.2 If contractor provides a composite quote, contractor cannot not be held to execute a part of the quote for a corresponding part of the price of the entire quote. 11.1 Unless stated otherwise in the offer/agreement, all invoices shall be paid within 14 days of the invoice date. for each of the payments, contractor shall send a timely invoice to client. 11.3 The final invoice will include a detailed specification of the services provided, the invoice amount based on subsequent calculation, and the VAT. 11.4 All payment terms are considered firm deadlines. Client shall not be entitled to suspend or settle payments. 11.5 If the payment term lapses without a payment having been made, client shall automatically be in default. Client will then owe the statutory commercial interest (with a part of a month to be considered a whole month) as well as all extrajudicial collection costs, to be calculated as 15% of the principal sum, with a minimum of € 350.00. 11.6 Foreign clients shall be held to observe the VAT payment guidelines stipulated by the Dutch tax authorities. 12.1 Cancelling the agreement shall be done in writing (including but not limited to email) and will be accompanied by the relevant agreement. 12.2.1 If a cancelled agreement pertains to the lease of a space, contractor shall be entitled to retain all lease payments (in other words: lease payments are non-refundable). The assignment sum shall be the assignment sum agreed upon in the agreement, to be increased with any and all mutations that were agreed upon. 12.3 If because of (but not limited to) payment obligations that contractor incurs due to client’s cancellation, such as obligations toward and/or claims by third parties in the context of the execution of the agreement, client shall pay contractor at the time of cancellation for any damage incurred by contractor that exceeds the sum of the cancellation fee described in Article 12.2 of these General Terms & Conditions. 12.4 The cancellation date shall be the first date on which contractor receives the cancellation. Contractor must receive any and all complaints and reports of defects in writing (including but not limited to email) within 24 hours after client becomes aware of them or could reasonably be expected to have become aware of them. Failure to observe this period of time shall mean the lapse of any claims client may want to lodge. Circumstances that cannot be blamed to contractor and that are of such a nature that the (full) observance of the agreement cannot reasonably be expected (which circumstances include, but are not limited to: (i) extreme weather; (ii) permits or licences being revoked; and (iii) days of national mourning) will entitle contractor to dissolve (a part of) the agreement or suspend execution of (a part of) the agreement, without being held to pay any compensation. In such cases, contractor retains the right to claim payments (including but not limited to the costs for third parties hired by contractor). 15.1 Both parties commit to the confidentiality of the other party’s confidential information that they may receive in the context of the agreement. Information shall be considered confidential if this is made explicit by the counterparty or if this can be assumed from the nature of the information. The party receiving confidential information will only use this for the purposes for which that information is provided. f) must be disclosed pursuant to laws, regulations, or court orders, or pursuant to the decree of a government body, on the condition that the receiving party makes all possible effort to limit the scope of the disclosure and informs the counterparty of this pending disclosure beforehand. c) client’s assets are seized, client is granted a suspension of payment obligations, or client is declared bankrupt. 16.2 In the event of the dissolution of the agreement, all of contractor’s claims on client will become immediately claimable. 16.3 If contractor decides to dissolve the agreement, it will in no way be held to compensate client for any damage or expenses that client may incur because of the dissolution. 17.1 All images, drawings, ideas, and intellectual property rights used in or appended to an offer or an order confirmation may only be used in the context of the assignment that is (to be) granted and client shall not be entitled to use these for its own purposes or to provide them to a third party. All rights will remain with contractor in full. 17.2 Contractor therefore retains the right to request that client return the documents referred to in Article 17.1 of the present General Terms & Conditions. 18.1 Only Dutch law shall apply to all legal relationships between contractor and client. 18.2 All disputes pertaining to or ensuing from offers made by contractor and agreements concluded between parties, as well recovery procedures in case of a default on payments, will exclusively be heard by the competent court in contractor’s district, unless contractor decides to lodge a claim in client’s district. 18.3 The clause designating the competent court shall not apply in the event of claims or rent issues with a total value not exceeding € 25,000.00. In such cases – except in exceptional circumstances – the court in client’s district shall be competent to hear the claim. 18.4 In the event of any differences of interpretation between the Dutch original of these General Terms & Conditions and any translation thereof, the interpretation following the Dutch text shall be binding. The remaining amount has to be paid, at the latest 14 days after the invoice has been sent.